A number of questions come up often regarding Blog For Mental Health. My aim is to address them here, along with new queries I get throughout Blog For Mental Health 2015. My site is not just devoted to mental health, I write about a lot of things. Can I still pledge? Of course! I felt the exact same way when Lulu launched the campaign in 2012. But you know what I’ve learned? Mental health is never the only aspect of anyone’s life. Moreover, you do not have to have a mental illness, diagnosed or otherwise, to be affected by and want to raise awareness about mental health. It is everyone’s business, and we should treat it that way. I have a post I have already written that would be perfect for this. Can I use it? Please refrain from using a post already published and in your archives for your pledge post, even if it’s recent. If you have something especially meaningful, you are welcome to take excerpts from it, add the Blog For Mental Health Pledge, the badge, and the link back to the pledge post on Canvas, then publish it as a pledge post. The reason I ask this of you is that a very important aspect of BFMH is raising awareness among your readers. They are less likely to go back to a previous post, so the message behind BFMH might be missed. The idea is that you spread the word to your readers, and on a greater scale, I spread the word through your stories when I share them. You can, however, send along the link to a previously published piece after you have pledged, and I’ll be glad to share it out. 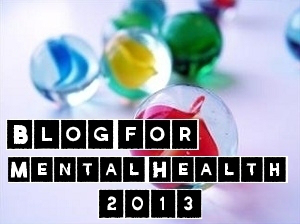 How do I display the Blog For Mental Health badge in my pledge post? How do I display the Blog For Mental Health badge in my sidebar or footer area? Here I can only help you out if you have a WordPress blog. There is a field in your image widget that asks for a link URL. This is what you want to paste in there: https://blogformentalhealth.files.wordpress.com/2015/01/bfmh15-4-copy.jpg . If you need additional help with fields, I have the alignment set to Center and the width and height set to 335 (width) and 373 (height), though most WordPress themes will determine a best fit automatically. How do I know you have received my Blog For Mental Health pledge? Will I get an email letting me know? Due to the massive response Blog For Mental Health has received, I will only reply to your your pledge post email if there is some kind of problem or glitch. 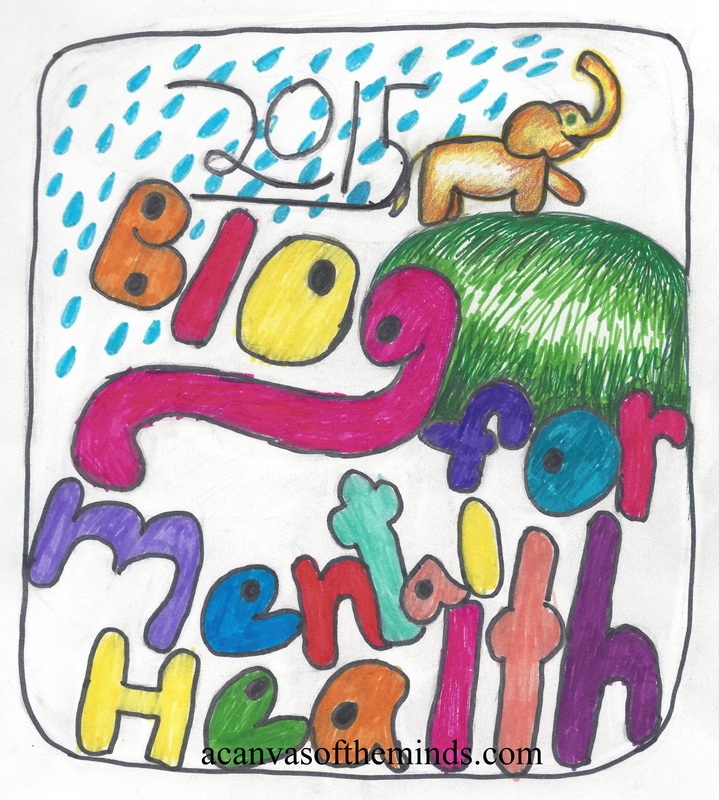 The easiest way to make sure I have received it is to check out our Blog For Mental Health 2015 Official Blogroll. I try to update this every few days, so if your blog is listed, I have your post. Please remember, due to the tremendous interest, if you have not actually emailed me the link to your post(s) at blogformentalhealth@gmail.com, I won’t have it! 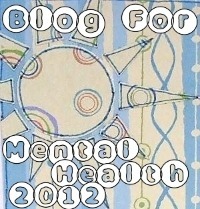 Do all of my Blog For Mental Health posts need to include the badge, the pledge, and the link back to the launch post? No. We would like for you to include this in the initial pledge post, but subsequent Blog For Mental Health posts you’d like to share are completely free from any kind of “formatting” or additions to what you want to write. Simply continue to email links to these posts to me, and I will share them out. 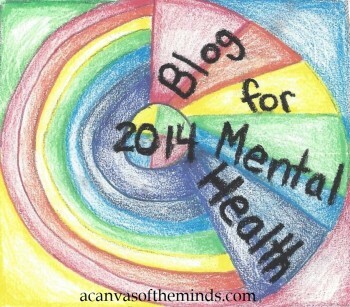 When will my post be shared out though The Official Blog For Mental Health Project and A Canvas Of The Minds? How will it be shared? Initial pledge posts will be placed on the 2015 Blogrolls for both this site and A Canvas Of The Minds, and shared out through social media outlets for the BFMH Project. Subsequent posts will not listed on the Blogrolls (yinz are just so wonderfully productive!) but will be shared through BFMH Project social media. Additionally, all posts will be shared out as excerpts through this blog, The Official Blog For Mental Health Project. Posts are shared out more-or-less chronologically, in the order they were emailed to me. I only just found Blog For Mental Health and it’s well into the year. Can I still become involved, or is there a deadline for pledging? There is no deadline for pledging, it’s never too late! This is a year-long event, and we would love for you to show your commitment to mental health at any time during the year. That being said, if you’ve stumbled across this project on the last day of December, you might find it a better idea to wait until next year’s launch to pledge. 😉 Just as long as you’re aware that this is a project we intend to keep going until we just can’t keep up with it anymore! I’m interesting in becoming a contributing author for Team Canvas on A Canvas Of The Minds. How do I find out more? For more information, as well as queries about becoming an author or contributing in any way to A Canvas Of The Minds only, please contact Ruby at acanvasoftheminds@gmail.com. Please email directly, and refrain from leaving links to your blog or questions about authoring below. Also, kindly refrain from directing Blog For Mental Health questions to the Canvas account. If you have additional questions, please ask them in the comments so other bloggers can benefit as well. For anything on a personal level, email me (Ruby) at blogformentalhealth@gmail.com . All communications will be held in the strictest confidence. I have no idea if I did this correctly. How will I know that I emailed the link to you? For future blogs that I write, do I have to include the badge, the quote, and the link to your site each and every time or just initially? Hi, I’ve just updated the blogroll, so if you see yourself there (it’s alphabetical by blog name), you know you’re in good shape. You don’t have to include the badge pledge, etc. in any post except your initial pledge post, so no, not on every time. Thanks for bringing up both of these points. They definitely belong among the frequently asked questions! I just decided to do a little clean up and updating on my blog and decided to change the name of my blog. I decided that Being Positive with a Depressive Soul was a bit too long so I shortened it too something more playful and catchy lol…Positively Depressed. Now will this cause any problems with the challenge? Also, the other day I posted a blog post on Official Blog for Mental Health 2014’s facebook page and I wasn’t sure if that was ok. So If I want you to personally share my blog post I just email you the link right? This year I want to be more active in the challenge 🙂 have a good weekend and sorry I bombarded you with this long comment. Sorry for another question! but, could I put the pledge in a stand-alone page which is like an “about this blog” kind of page? Thanks again! Hi! I thought I could answer both of your questions here. You certainly don’t have to email every single one of the posts you write, I don’t have the capacity even to share all of them out myself! Essentially, what I need from you is a pledge post emailed to me. You can find the details of what that needs to include, as well as where to email it in this post: Blog For Mental Health 2014. That (your pledge post) is the only one you definitely need to send along a link for so that you can be added to the Blogroll. If you want to make it a stand alone page, that’s absolutely great as well, just follow the instructions in the launch post and email me with the link to it. You do, however, have the option of sharing more posts with me and the BFMH community, if you’d like. I think this is probably what confused you initially. Some people want to share more than just a solitary pledge post, and when they do (if you should want to), the link(s) to the additional post(s) do need to be emailed to the address you’ll find in the post above. This is by no means a requirement, though. I hope that helps to clear things up a bit. Let me know if you have more questions, otherwise I look forward to reading your post! Hi ruby, thank you for the clarification! I hope my email containing my pledge post has reached you and you will see it soon! Many thanks! Yep, I have you set on the Blogroll and your post will be shared out! Thank you for being a part of BFMH! Thank you again for your hard work! It is much appreciated! Your interest and involvement are so very much appreciated as well! Hi Pepper, sorry for the delayed response. It is absolutely not to late to pledge for Blog For Mental Health! I’d love to keep this going all through the year, so if you want to get involved I would be delighted to have you join the project! Just in case you need the link explaining the basics, I’ll include it right here: Blog For Mental Health 2014 | A Canvas Of The Minds. Please do let me know if you have additional questions, otherwise I look forward to reading your words and sharing your story with out wonderful community! No worries; thanks for getting back to me! I’m glad I can still be a part of the project. I’m so glad that you’re interested, and I’m excited to get you set up on the Blogroll! Hi, I submitted a post last week but don’t see it on the blog roll yet. Is there a backlog? Thanks. Hi Erica! Thank you so much for your interest. If you look at the most recent “new” post on the site (Take It On Faith), I’ve been having some ongoing issues with my internet service. Editing the Blogroll is way more than I can do from my phone, but I am trying to work it out so I can get things back in order both with the Blogroll and sharing out posts. I know it’s a frustrating delay for everyone, but I am actively working on it and will hopefully have you set very soon. Thanks again so much for getting involved with Blog For Mental Health, and also for your patience and understanding!